Welcome to manjya, the easy way to connect with Personal Chefs – the “How do I pull this off?” holiday meal experts! With manjya, you can customize your meals for guests with allergies or special requests. Spend time with your guests while a manjya chef takes care of the meal. 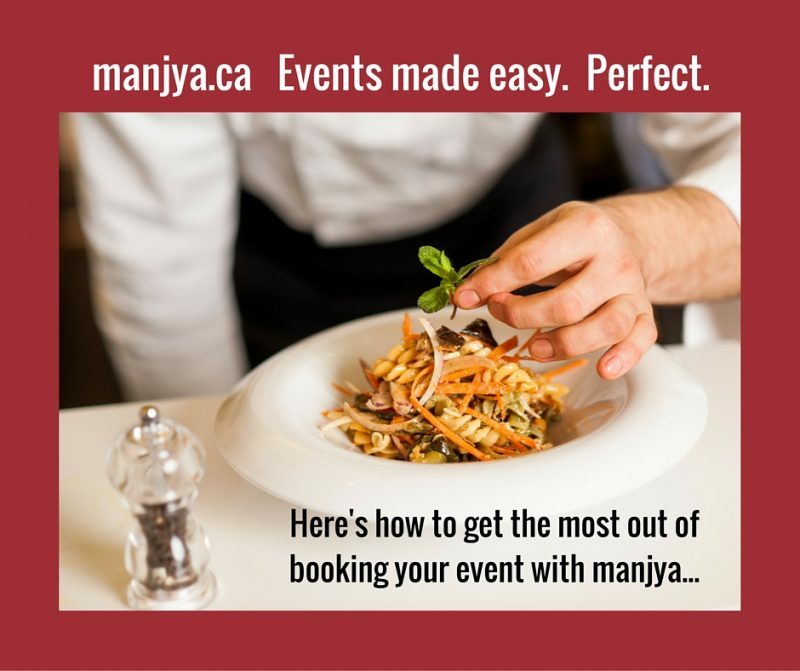 When clients hire a chef from manjya, they say their time saving is priceless. 4. A Cinco de Maya office party with a request for food to be served buffet style. Menu: a range of 9 different meats, sides and vegetables with 4 different accompanying chef-created sauces and toppings. Cost: $38 per person. 5. A Thanksgiving dinner held in a rented chalet with a request for both turkey and duck. Menu: four courses including sides, desserts, appetizers, using high-end ingredients to accompany the request of the client, everything cooked and served on site. Cost: $216 per person. Read on to see some actual menus enjoyed by a few of our many happy clients. A menu created for a client who wanted to cook the turkey herself but needed help with everything else. Antipasto buffet including elegantly presented selection of Italian cured meats, cheeses, olives, vegetables, and caprese salad (tomatoes and fresh mozzarella). Special Diet Meal Saves! No more getting left behind, with meals just for you from manjya!What's in your fridge?